San Bernardino is a county in southern California located in the Riverside San Bernardino metropolis. San Bernardino has a rich and versatile economy, ranging from industries in mining, transportation, construction, and recreation. 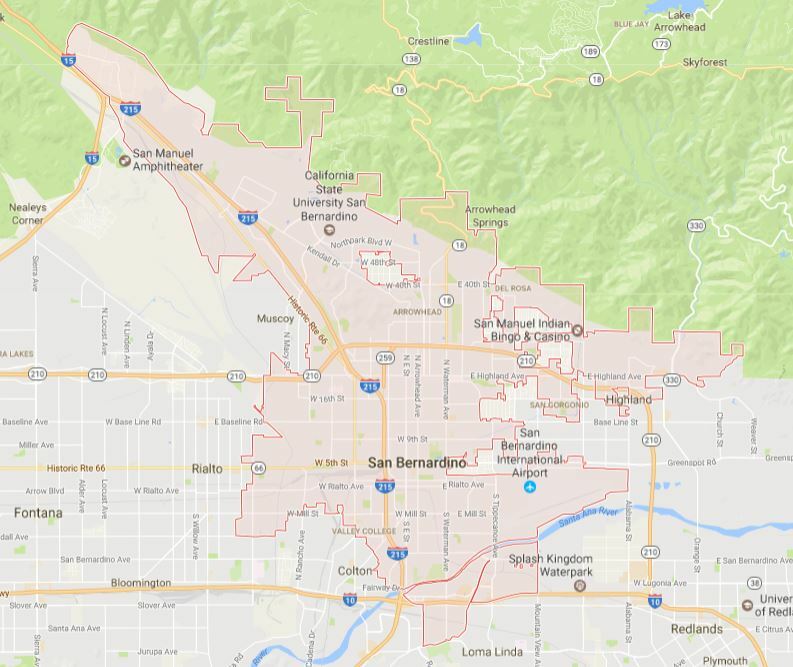 With a particular focus on transportation and logistics and the city’s historic strength in the construction industry, it makes sense for employers and employees to invest in San Bernardino forklift certification. CertifyMe.net provides forklift certification in San Bernardino for both employers and employees. If you run a business that employs forklift drivers, OSHA requires forklift training in San Bernardino. Since most companies have trouble handling training alone, CertifyMe.net is the preferred provider for OSHA compliant training across the region. For comprehensive, complete forklift certification in San Bernardino, CertifyMe.net has everything your company needs for affordable, hassle-free OSHA compliance. With CertifyMe.net, San Bernardino forklift certification is a breeze. With our certification test and hands-on evaluation materials, you’ll ensure all employees have the skills and knowledge to operate any powered industrial truck safely. Our great prices, varied course offerings and outstanding membership benefits make it a no-brainer to sign up with CertifyMe.net! With CertifyMe’s regular training course and Train a Trainer class, forklift training in San Bernardino and throughout Southern California is easier than ever. CertifyMe is a preferred provider of forklift training throughout Southern California and beyond. With a full assortment of training courses, you can receive forklift training in San Bernardino and surrounding communities affordably and quickly. • Pallet Jacks & Order Pickers – many San Bernardino forklift drivers use this course to get forklift jobs in the city. It’s also popular for employers who need to get their employees forklift certification in San Bernardino. • Warehouse Forklifts – Classes 1, 4 & 5 – one of our most popular training modules, this course is used by a lot of applicants for forklift jobs in San Bernardino, along with many employers in the San Bernardino County and Inland Empire areas. • Rough Terrain Forklifts – from highway construction to outdoor shipping terminals and other unconventional sites, this class shows you how to operate rough terrain forklifts. Safe forklift operation is especially important for rough terrain forklifts, and this is one of our most popular San Bernardino forklift certification courses. • Qualified Trainer/Evaluator Certification – this is a great “train the trainer” option for any company that needs forklift certification in San Bernardino. Take your forklift certification in San Bernardino to the next level with this comprehensive training course! Whether you’re looking for forklift drivers or need forklift training for your employees in San Bernardino, CertifyMe has what you’re looking for. Visit our course pricing page to find out more info. You can also call our San Bernardino forklift certification experts directly at 1-888-699-4800. Why Get a Forklift Certification in San Bernardino? Skipping San Bernardino forklift certification can have negative consequences for both the operator and the employer, and it’s also against the law. Workers without this training won’t know how to avoid accidents that can lead to injuries and fatalities, and employers will risk dealing with liabilities and fines from OSHA. If you want to qualify for forklift jobs in San Bernardino, you need to first complete your San Bernardino forklift training, which can be done in 5 Easy Steps! If you want affordable, OSHA compliant training solutions from both sides of the employment equation, CertifyMe.net is here to help! Click here to get started today! Forklift-related positions include forklift operator, dock worker, reach truck operator, sit down forklift operator, material handler, forklift mechanic, forklift training mentor, and warehouse manager. Many great companies in San Bernardino looking for operators with San Bernardino forklift training include Uline, States Logistics Services Inc., Main Logistics, Roadrunner Transportation Systems, Walmart, Genco, Niagara Bottling, Burlington Stores, Anita’s Mexican Foods, and many more. CertifyMe.net will show you the important safety concepts and OSHA instruction you need to get San Bernardino forklift certification. With your training, you’ll make yourself an attractive candidate in the competitive Southern California job market! With San Bernardino forklift certification, convenience is key. You want a flexible and affordable training solution, one that accommodates with your employees’ busy day-to-day schedules. The training with CertifyMe.net is completely online, apart from the practical assessment you can complete at your job with a fellow employee, and it meets OSHA standards for all necessary and important training information. For only $59.95 and in only about one hour on any device with the internet, your forklift operators can be trained in how to operate all types of forklifts in San Bernardino. Employers can get any employee up to speed with the latest OSHA forklift safety guidelines with budget-friendly prices and online convenience. Create an account in a few minutes today and complete your San Bernardino forklift certification! Sign up today with CertifyMe.net – you won’t be disappointed! Our affordable, efficient training programs will help you save thousands from expensive 3rd-party training “solutions” that often cause more problems. Go with the OSHA experts here at CertifyMe.net – give our forklift training consultants for San Bernardino a call today at 1-888-699-4800. No other OSHA training programs offers the flexibility, convenience, and affordability of CertifyMe. The best time to sign up was yesterday. Don’t put your OSHA compliance in San Bernardino off any longer – improve your safety programs today with CertifyMe! Create an account in a few minutes today and complete your San Bernardino forklift certification! 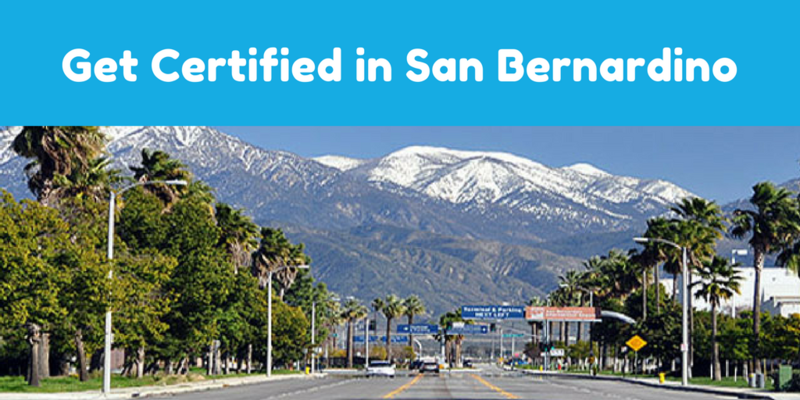 CertifyMe provides thorough, OSHA-compliant forklift certification in San Bernardino. In no time at all, your employees can become certified to operate a forklift in San Bernardino. To sign up today, give our office a call at 888-699-4800, or visit our contact page to learn more about our forklift training courses in San Bernardino. Thanks for visiting CertifyMe, the online leader in forklift certification in San Bernardino and all over Southern California and the Inland Empire region!